Zombies And Toys: Zombie Bobble Budds on sale NOW ! Zombie Bobble Budds on sale NOW ! 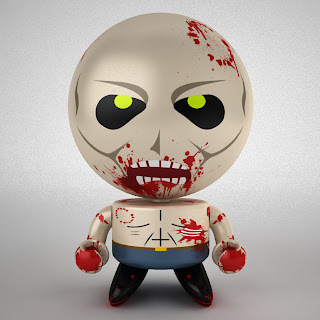 The gang at BobbleBudds.com have declared the month of February to be Zombie Awareness Month, and we here at Zombies & Toys will follow suit and declare SALE-SALE-SALE for the entire month of February ! Hop on into our store and pick up Zombie related Bobble Budds for 25% off - you can pick up Bitey the Zombie or Zombie Gat for a mere $ 7.49 each !! So act now and make your survival team happy with some great gifts that will make Zombie Awareness Month a happy one, so forget that silly hedgehog, click on the pic above to be whisked away to the store, and grab some Zombie Bobble Budds NOW !! !